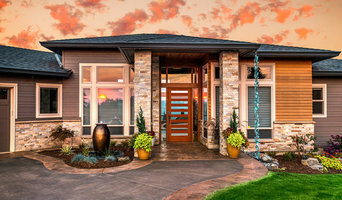 Norway Built is a family owned and operated construction company devoted to building trust and designing value in each of the custom projects for our clients. We specialize in kitchens, bathrooms, Total Basement Finishing, and Four Seasons Sunrooms! We believe that attention to detail and customer service sets us apart from our competition, allowing us to continue focusing on each client as if they were our only client. This has ensured their project is better than expected when completed. We work with each of our clients to help select the best choices and we maintain a relationship with the customer even after the project has been completed. Robert Ligmanowski developed and has owned Norway Built for over 30 years. He graduated from Devry in 1984, and worked for a printing company for 18 years as a foreman. For personal enjoyment he would purchase homes, fix them up and sell them. Then move on to the next one. This is where his idea of starting his own construction company was born. Passion, hard work, and structural knowledge made this company what it is today. His attention to detail is unsurpassed. His maintained relationships with customers has made him a loyal friend to all.